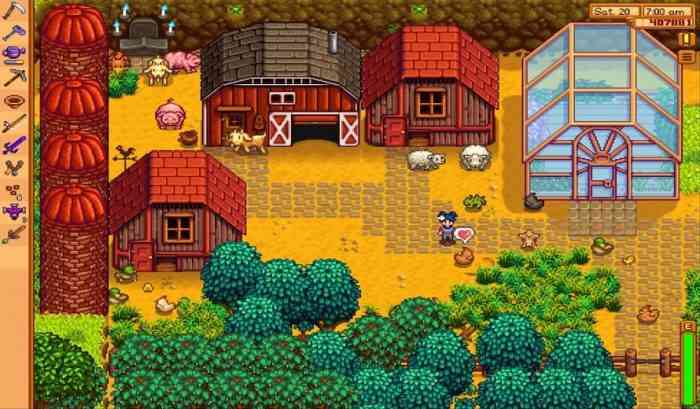 Way back in December 2018, Stardew Valley developer Eric Barone AKA ConcernedApe announced his full-time return to Stardew development. At the time, his priority was getting console editions of the game caught up the the PC version. This most notably included the multiplayer patch. But this news is about the Android version. Who cares about the consoles? Well, on March 13th, Barone announced via the developer blog that the Stardew Valley Android version had launched. This version is up to date with the consoles. That means Xbox One, PS4, Nintendo Switch, iOS, and Android editions are all on the same page. Kind of. Unfortunately, a lot of the platforms are still lagging behind in terms of the multiplayer functionality. Xbox One and PS4 multiplayer is still being worked on, as of the February 14th dev blog. Multiplayer is available on PC, Nintendo Switch, and iOS currently. The Android version is “the full version of Stardew Valley, up to 1.3 (but not including the multiplayer functionality).” There is a big upside, however. Transferring saved data from PC to iOS was a bit of an inconvenience, but doing so for Android is much simpler. For iOS, saved data could be transferred by going through iTunes, but for Android, it is as easy as dragging the save file and dropping it into the phone’s internal storage. Easy as that. As for when we will see multiplayer across all platforms, nobody knows. It’s like the Diablo III or Kingdom Hearts III of farming games. Anyway, Stardew Valley is available right now on Android for just $7.99. Will you be picking up Stardew Valley for the umpteenth time? Let us know in the comments below.